You'll find "A Tacky Christmas" outdoor tour on the grounds of the Glensheen Congdon Estate and it includes all the cliche and delightful festive displays. This adds a walk through the trails and down by Lake Superior if you go on a self-guided tour of the classic mansion Christmas display. 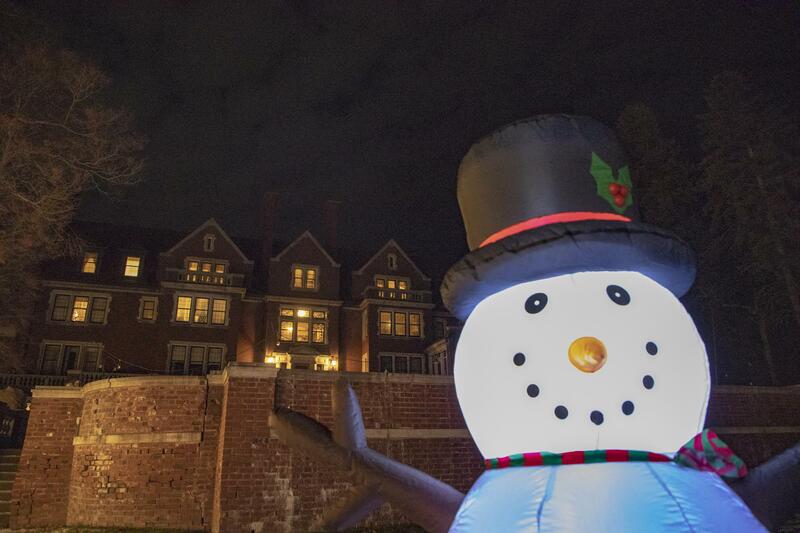 The new outdoor Christmas display at Glensheen is included in a tour ticket or can be toured separately for $5. Wednesday, December 26th – Monday, December 31st | 5:00 pm – 9:00 pm. Stay tuned for details of the upcoming Duluth Winter Village at Glensheen and other arts & crafts holiday shopping opportunities here on Radio Gallery. The delightful creative troupe that is Rubber Chicken Theater does not disappoint with their holiday offering this month.